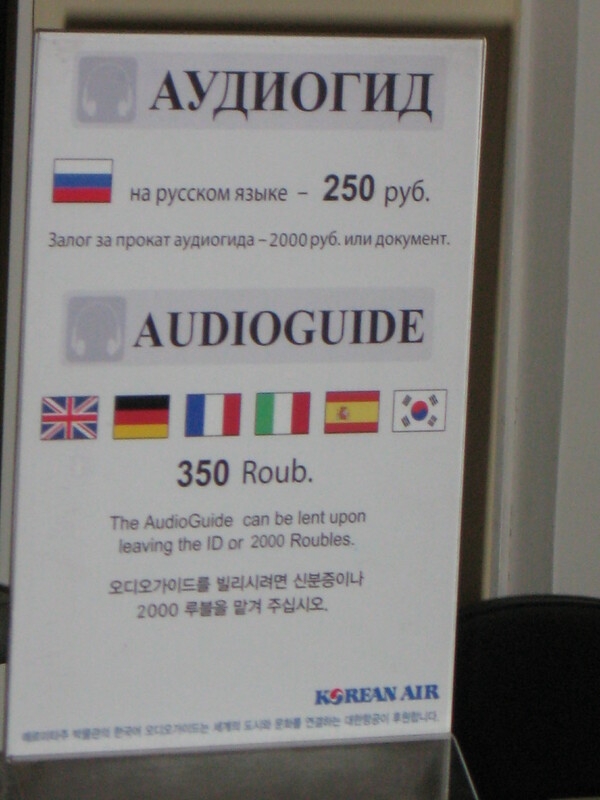 A few months ago I read in Korean newspapers that the Hermitage Museum in St Petersburg, Russia now offers a Korean language guide and that Korean is the only Asian language audio guide offered at that museum. While it’s true there’s no Chinese or Japanese language guide, there are rooms of Chinese and Japanese art at that museum and I didn’t even see one Korean work. If Korean Air really wants to spread Korean culture throughout the world, perhaps they could donate some Korean art pieces to the Hermitage or if they already have some ensure that they are displayed. Simply offering audio guides in Korean does nothing to expose non Koreans to Korean culture; it only makes other cultures more accessible to Koreans which is a worthy goal but exposing non Koreans to Koreans to Korean culture is also important. This entry was posted on noviembre 30, 2009 at 6:54 am and is filed under Russia. You can follow any responses to this entry through the RSS 2.0 feed. You can leave a response, or trackback from your own site.